I love receiving my Birchboxes each month. Not only do I love the samples, I love the boxes. I never want to throw them away since they just seem to have so much potential! Awhile ago, I saw this organizer built out of past Birchboxes on Birchbox's blog. I thought it was such a fun way to recycle previous Birchboxes. After I saw the tutorial, I decided I would make one as well; however, it took me quite a few minutes to realize that I didn't have enough boxes at the time. Well, now I have a ton of them (I'm approaching the one-year mark!) and decided to try it again. I thought I would post a tutorial since I found this one to me a bit confusing, and I had to tweak several steps for it to work properly. There are two main parts to this project: preparing the pieces & assembling. I thought it might be easier to explain all the preparations first and then go on to how to assemble it. Warning: It is very hard to describe the steps, so bear with me, but the project overall is quite easy and doesn't take long to complete. Leave a comment if anything is confusing! Step 1. 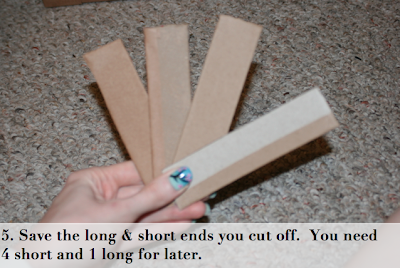 Take a bottom half of your Birchbox and cut one of the long (length-wise) sides off. Do this again, so you have 2 bottom halves that are each missing 1 long side. Step 2. 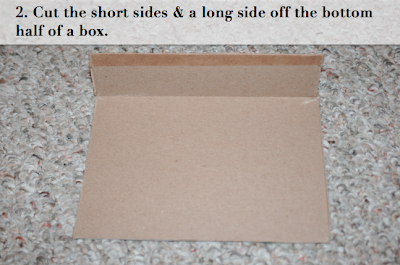 Take another bottom of a box and cut both short sides and 1 long side off. So, you have a bottom half with only 1 long side remaining. Step 3. 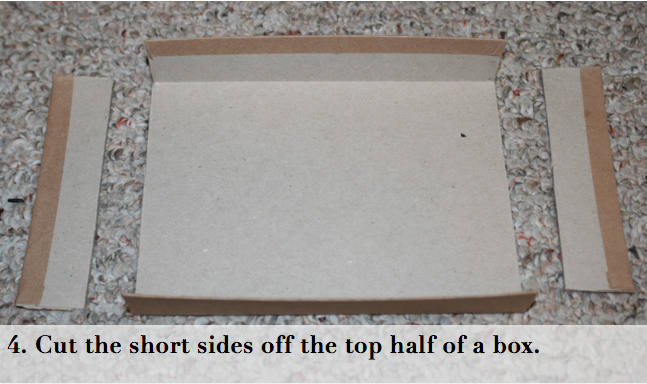 Take a top half (the side that has the Birchbox name & logo) of a box and cut both short sides and 1 long side off. Step 4. 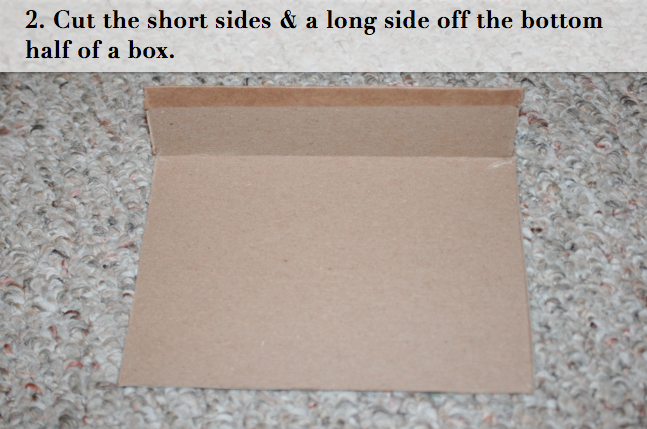 Take a top half of a box and cut off both of the short sides. Step 5. Make sure to save the ends you cut off. We will use 4 short ends and 1 long end later. Now on to the assembling! 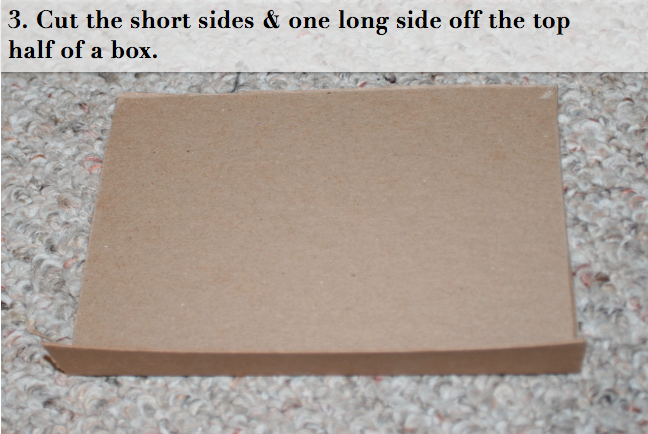 It is definitely difficult to take pictures of the taping and the gluing, so I thought a diagram would help as well as detailed instructions. The numbers on the diagram refer to the previous steps. So the piece you made during step one, goes where the 1 is, and so on. If you are a frequent Ikea shopper, you might not need the below instructions. 1. The pieces we made in Step 1 are the sides of the organizer. They are upright with the remaining long side in the back and the short sides are the top and bottom. 2. Piece 2 is the bottom. Hot glue this piece onto the pieces from step 1. 3. Piece 4 is the back of the organizer. 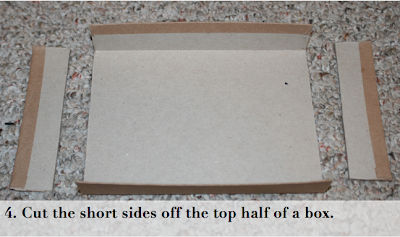 Place it horizontally inside what you have so far, so that it is lined up against the top of the organizer. Use hot glue to secure. 4. 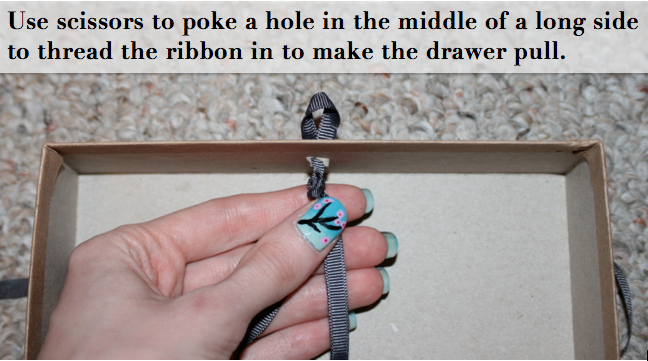 Measure out where the drawers should be placed and tape the long piece (Piece 5) where you marked. 5. Attach the short side pieces (Piece 5) the long pieces in the back. This will help the drawers stay up. 6. Now use hot glue to put the top (Piece 3) onto your organizer. 7. You will need 3 additional bottom halves for the drawers. You can just slide them in. 8. 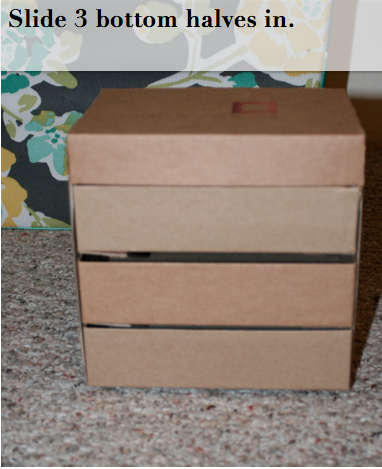 If you want to have the ribbon drawer pulls, first take the boxes out. 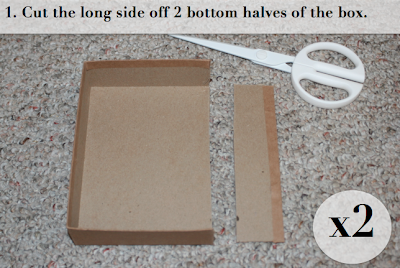 Then, use your scissors to make a hole in the middle of the long side of the box. Thread the ribbon through and tie a knot on the inside. Now you can slip them back in with the ribbon facing the front. 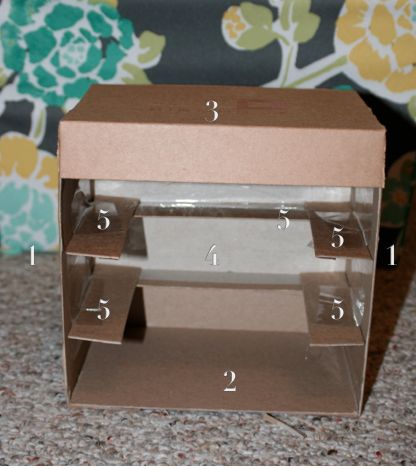 And now after all those complicated steps (not too complicated to do but hard to explain), you have your DIY organizer! I am going to put this on my desk to store all those little odds and ends that tend to accumulate. Office supplies, make-up, Birchbox samples... 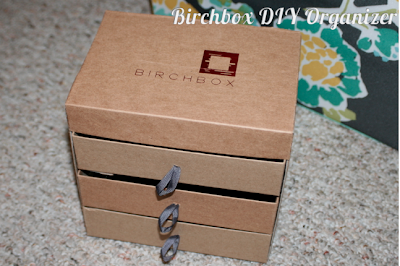 I hope this helped and inspired you to DIY using your old Birchboxes. How you do use your past Birchboxes? This is such a clever DIY! I love it!